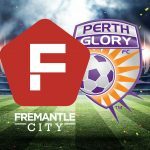 At Fremantle City Football Club we’re all about giving back to the community. Our passion is to help grass roots football clubs grow, fostering the spirit of this great game. So how will pledging your support to us impact your local, grass roots football club? When your club partners with us by pledging support, you become a Foundation Football Club Associate (FFCA). Other financial and tangible benefits that will be disclosed within a recorded legal agreement.